“We knew if she made it to Mayo Clinic, she would make it,” says Judy Morinville of the September day Mayo MedAir airlifted her teenage daughter to Mayo Clinic. Mickala Morinville did make it, and her journey serves as a reminder of the miracles that can happen when you combine Mayo expertise with a higher power and a determined patient. Mickala was in a dire situation. Her lungs were destroyed, likely by a virus, and Mickala struggled to get enough oxygen. Even getting her to Mayo was a challenge. An extracorporeal membrane oxygenation (ECMO) machine was oxygenating Mickala’s blood. Because of the complexity of transporting these patients, most cannot move to another facility. Thankfully, Mayo MedAir has expertise that made her trip to Mayo possible. As her parents made the stressful drive from their home in northern Minnesota to Rochester, Roxanne Pike, M.D., Anesthesiology, and Rakesh Suri, M.D., D.Phil., Cardiovascular Surgery, were busy in the operating room trying to save their daughter’s life. They stabilized Mickala and placed her in the care of the staff on the intensive care unit. Still, Mickala struggled. Even with an ECMO machine helping oxygenate Mickala’s blood, she was not getting enough oxygen to recover. Her health continued to deteriorate, and Mickala eventually landed on the heart, lung and kidney transplant lists. In retrospect, these tense moments were the start of Mickala’s fight back. As Judy and Scott, Mickala’s dad, sat anxiously waiting, Scott had a feeling that everything would be okay. “We were just sitting there and Scott said, ‘I just felt something come over me. She’s going to be okay. I can just feel it, she’s going to be okay,’” recalls Judy. After 116 days, Mickala was finally strong enough to leave the ECMO machine. 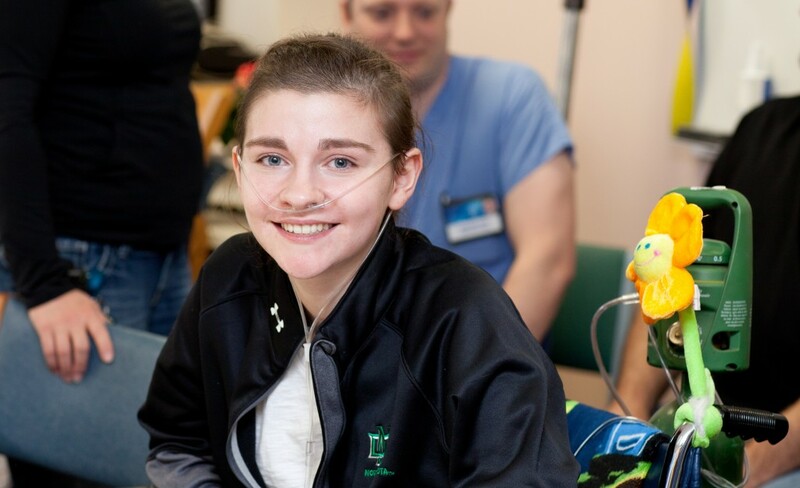 She moved to a rehabilitation unit in February, and finally in April, she was ready to go home a record holder ­– 116 days is the longest anyone in the country has been on ECMO and left the hospital. “This prolonged duration of ECMO support was possible because of the amazingly talented people we have involved in her care,” said Dr. Schears. Her departure came complete with heartfelt goodbyes, threats to crash her upcoming prom, balloons in Mickala’s favorite colors and recounts of her long journey, making it clear that Dr. Schears sentiment was shared by an entire care team that Judy estimates numbers in the hundreds.